As previously reported, Beshear, a Democrat and son and grandson of a minister, issued a statement yesterday outlining that he will not call a special session of the legislature to assist Rowan county clerk Kim Davis, who will report to court tomorrow to face the charge and may be levied with heavy fines to force her into compliance. “The General Assembly will convene in four months and can make any statutory changes it deems necessary at that time. I see no need to spend hundreds of thousands of dollars of taxpayers’ money calling a special session of the General Assembly when 117 of 120 county clerks are doing their jobs,” he wrote. Beshear’s longtime former church, Lexington Primitive Baptist Church, supports Davis. According to reports, Beshear left Lexington Primitive Baptist and began attending Crestwood Christian Church years ago since his wife is a member. 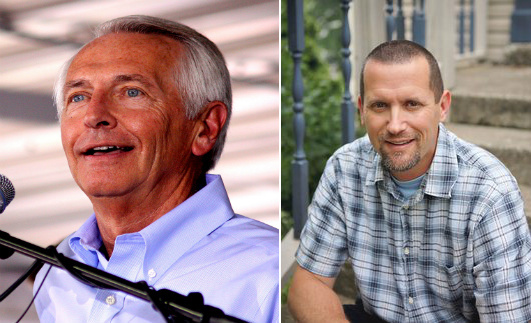 Christian News Network contacted Crestwood on Wednesday to learn where the congregation stands on homosexual behavior, and was advised by its Senior Pastor, Kory Wilcoxson, that the matter is not discussed because the assembly does not speak to “social and political issues.” He confirmed that Beshear is a member, but said that he does not regularly attend services due to his schedule as governor. Wilcoxson advised that with matters such as homosexuality, he allows members to come to their own personal conclusions on whether a certain behavior is sinful. He said that those in his congregation differ on whether or not homosexual behavior is sinful, and he neither teaches that it is right or wrong. “[W]e allow for room and grace for that spectrum of belief within the congregation rather than in saying one is right and one is wrong,” he said. When asked how he would speak to 1 Corinthians 6:9-10, which includes others such as drunkards and adulterers—in addition to homosexuals—as those who will not inherit the Kingdom of God, Wilcoxson said that he’s not sure if drunkenness in Paul’s day was characterized the same as it is today. Wilcoxson said that he would, however, consider adultery a sin—a major issue that has filled headlines due to the Ashley Madison data dump—because it is listed in the Ten Commandments. But if it was learned that a member was committing adultery, they would not be disciplined or ousted from the congregation even if they remained unrepentant. “I would certainly sit down and have a conversation with them, but we don’t have a church-wide system in place for discipline,” Wilcoxson said. He declined to give comment on his beliefs about eternal damnation.